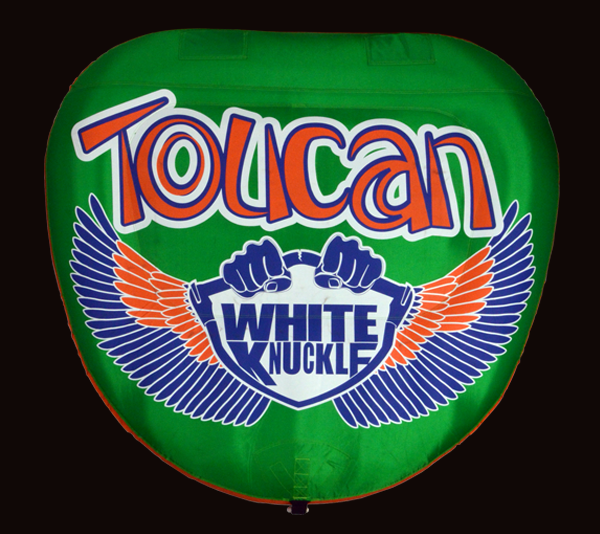 The Toucan is a 2 passenger tube that provides the ultimate experience for children and adults alike. With its drop down, one piece cockpit, high wrap around backrest, and deluxe padded handles it provides comfort and a sense of security for the youngsters but when the ride needs to get a little crazier for the older kids, this tube can still be a blast. 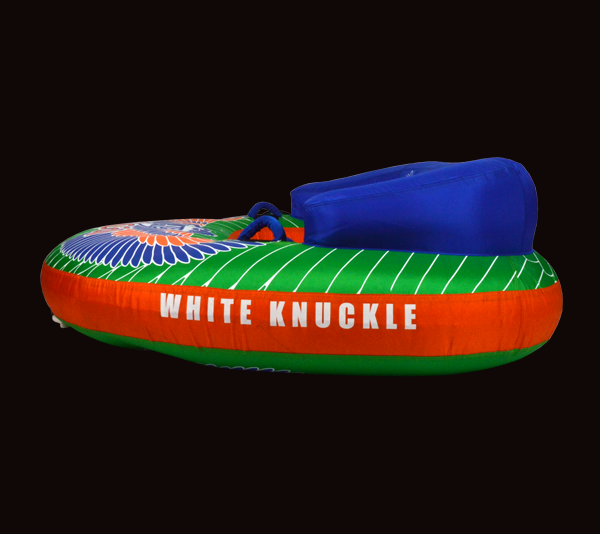 Guaranteed to keep you in it and comfortable no matter who is driving the boat!